I’ve reviewed and read and pondered and studied all of the newest design and style books from dozens of publishers. 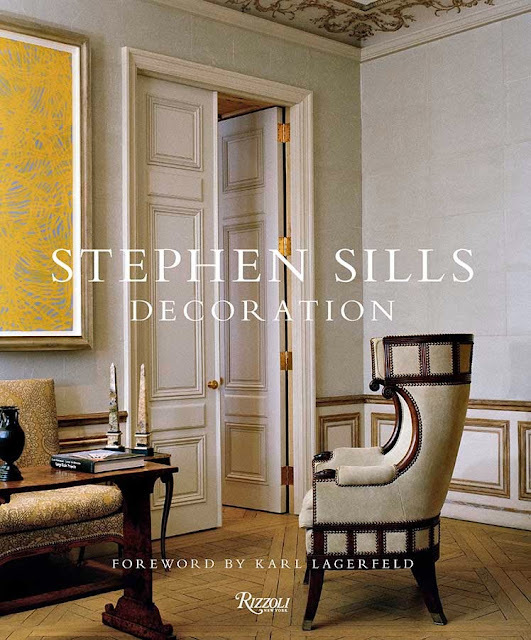 This week, you’ll learn more about the sensationally inspiring new Axel Vervoordt book; a lavish and superbly edited book by Timothy Corrigan on the restoration of his French chateau; and you’ll see why you must collect the staggeringly chic new book by Stephen Sills, and a totally original and new book by François Halard. I discovered the marvelously understated (and powerful) book about William Hodgins (by Stephen Salny). Hodgins, of course, is the great Boston designer. It’s a secret delight. I'll tell you more about that next week. It's most luscious and detailed. 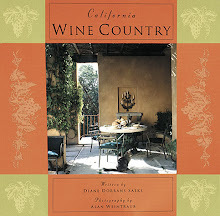 And California is represented strongly by Suzanne Tucker’s second book. Jennifer Boles alphabetizes design. 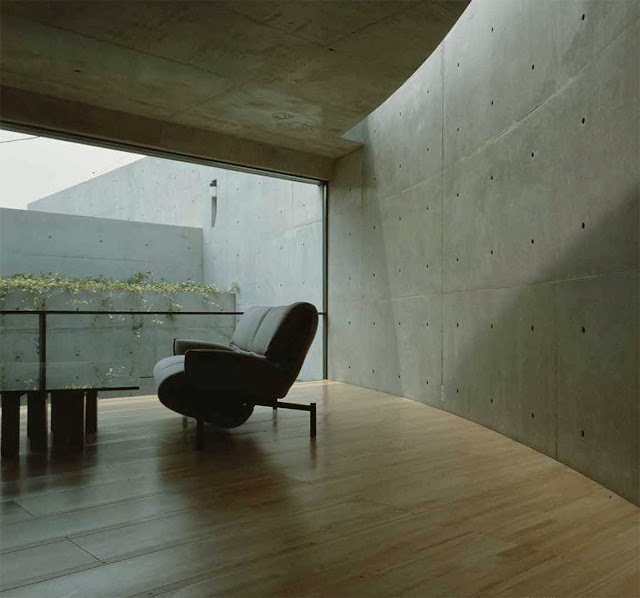 And there are the philosophical houses of Tadao Ando. And more. Come with me to see what’s important now in the design world, and whose words and photography you’ll want to keep close. You’ll want all of these new books for your design library. 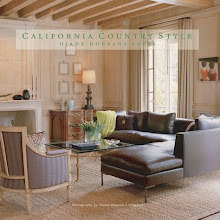 Each year at this time I study and read and ponder and evaluate all of the new style and design books for fall. 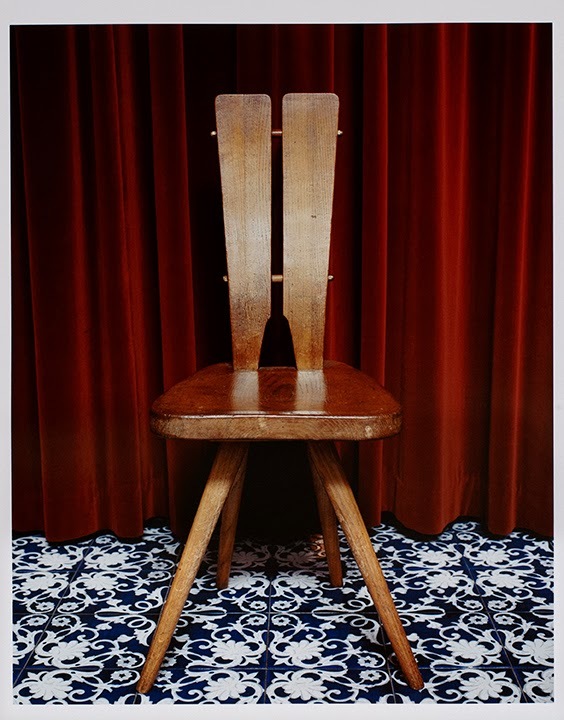 With highly collectible books by Timothy Corrigan, Thomas Pheasant, François Halard, the archive of Alexander Liberman (next week), and a fantastically inspiring new volume by the electric Axel Vervoordt and his son, Boris, with Michael James Gardner. This fall is a feast, a season of pure delight for book lovers. The new books I’ve selected are crunchy! Readers can chew on each page—and devour word-by-word, every concept, hundreds of images. 1. AXEL VERVOORDT: LIVING WITH LIGHT under the direction of Boris Vervoordt. 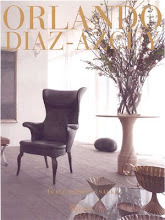 Foreword by Axel Vervoordt. Text by Micharl Gardner. Photography by Laziz Hamami (Flammarion). 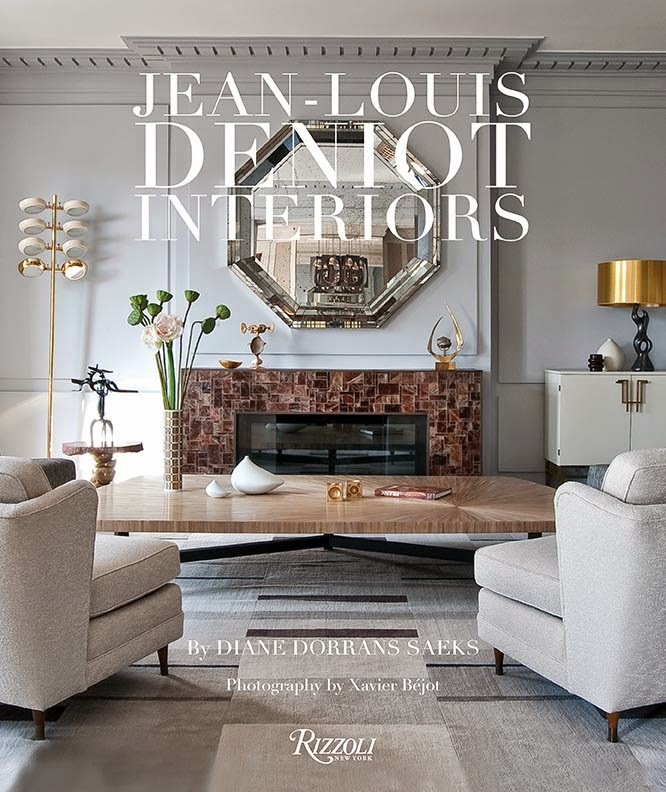 This inspiring and highly expressive volume is a series of interiors around the world—that present very clearly the concept of light and their effect on interiors. 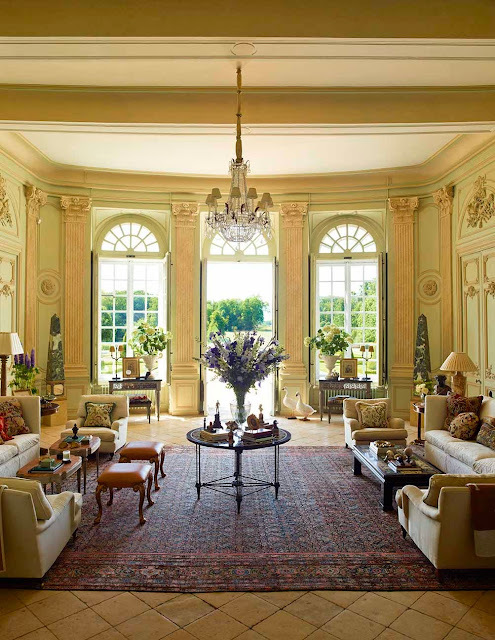 But in particular, it is an extraordinary tour de force of interiors in London, Tangier, Antwerp, and the remote coast of western France. 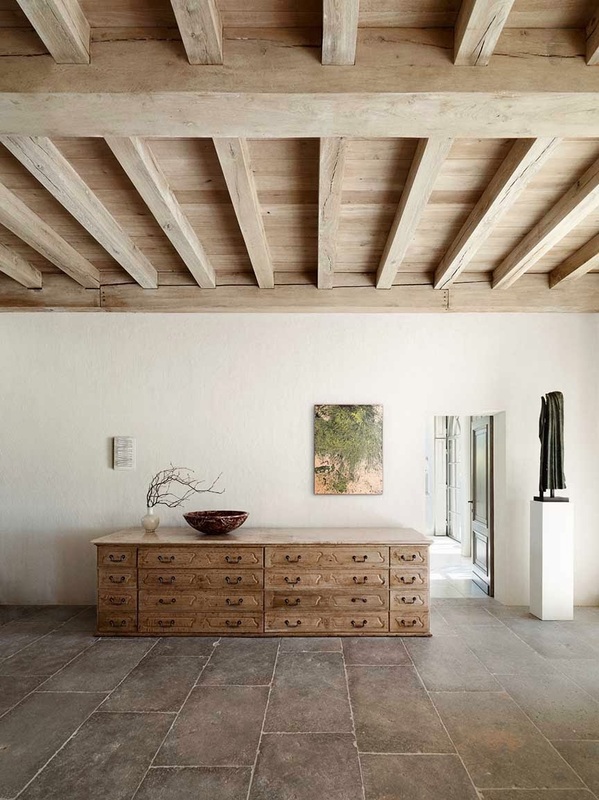 Living with Light explores Axel Vervoordt’s philosophy of living in harmony with natural elements--light, as well as water, metal, wood--and blending the power and influence of nature with the inspiration of art. 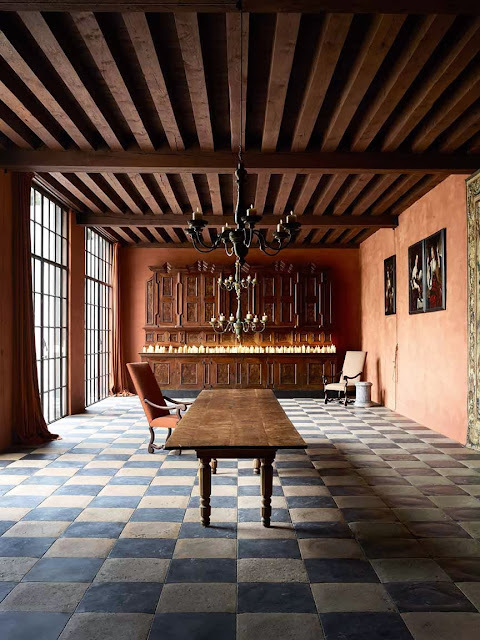 The art of harmonious living is presented in this new book through fifteen bespoke interiors throughout the world, recently designed by the design team of the Axel Vervoordt Company. 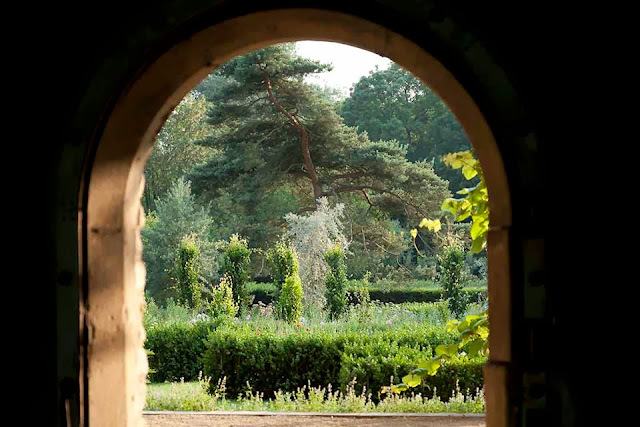 Vervoordt’s vision is a search for absolute harmony, beauty and serenity. 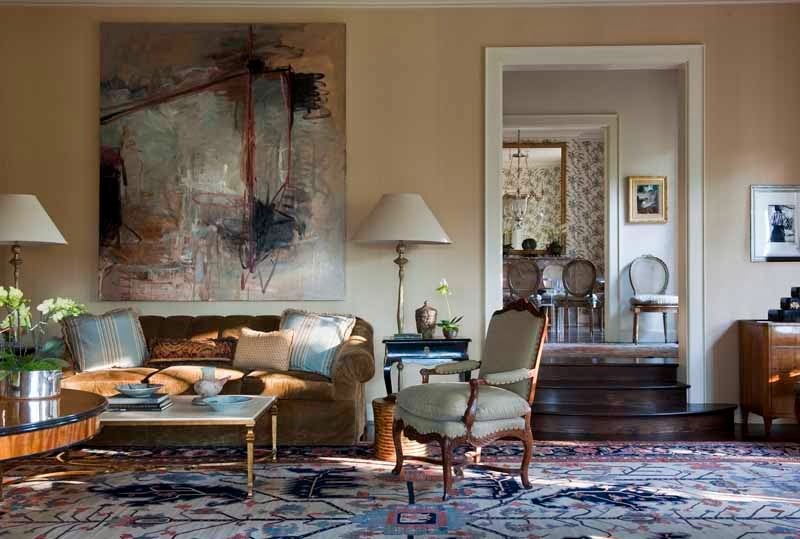 In a range of dramatically different houses—a paneled London townhouse, a light-filled villa overlooking the Mediterranean, several yachts, and Boris’s apartment, the firm creates spaces and interiors which not only reflect these values and shine with purity, authenticity and genuine soul. They capture, reflect and reinforce the personality and individuality of their owners and inhabitants. The Company’s biggest aim is to ensure that people feel happy in their homes. The Vervoordt book writer: Michael Gardner is an American writer and essayist. 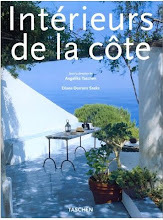 He collaborated with May Vervoordt on the cookbook, At Home with May and Axel Vervoordt (Flammarion, 2012) that I admired so much and recommended last year. 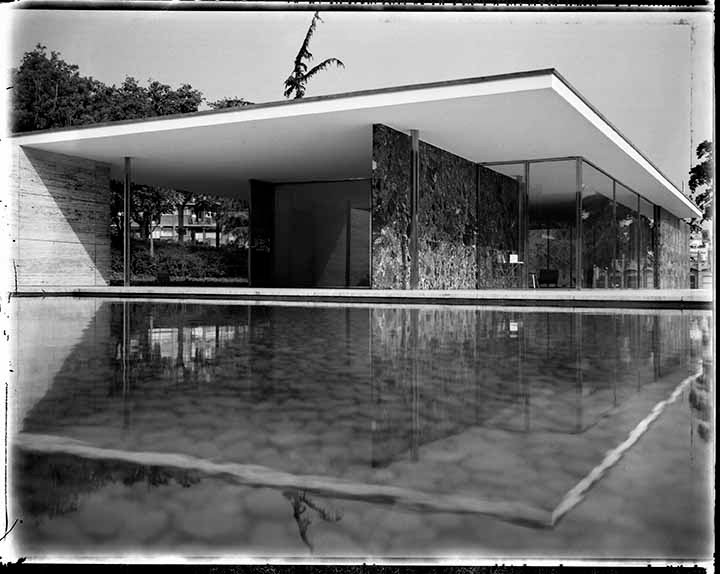 For its depth of design, and higher ideals, this book is the first to collect. This year, his voice and ideas (and those of Boris and Axel and their whole team) come through clearly. 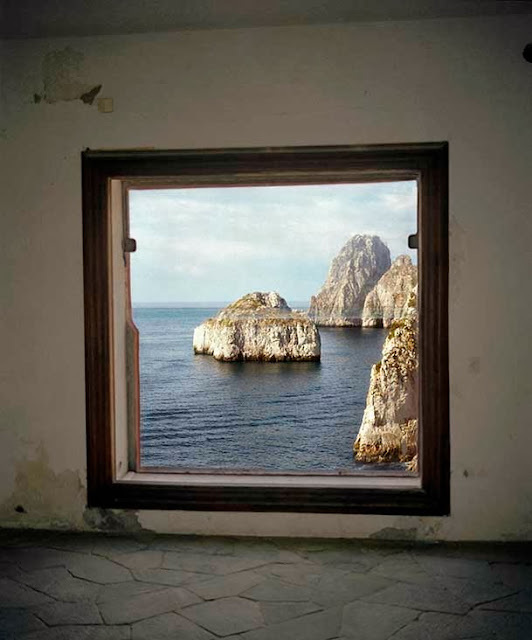 Axel Vervoordt: Living with Light (Flammarion, 2013). Originally from Des Moines, Iowa, Gardner currently lives and works in Antwerp, Belgium. 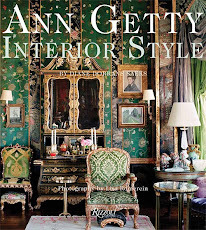 There is a lot to learn from this book—furniture placement, color, art, simplicity, and modesty, collecting for example—and the text and images offer in-depth information and ideas. 2. AN INVITATION TO CHATEAU DU GRAND-LUCE by Timothy Corrigan, with photography by Eric Piasecki (Rizzoli New York). 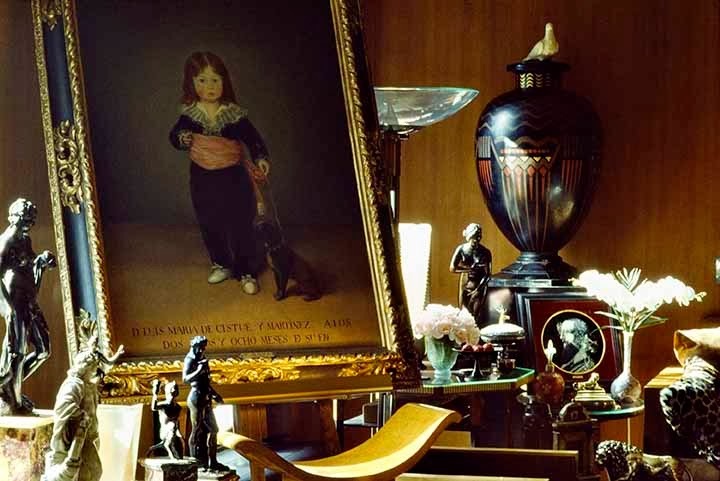 I’ve known Los Angeles interior designer Timothy Corrigan for ages, and have always admired his style, his generosity, his careful tending of elegance and comfort in interiors from Satan Barbara to Qatar, and from Paris to Beverly Hills. Ten years ago, Tim acquired the Chateau du Grand-Luce in the French countryside, west of Paris. It was a gently crumbling wreck. 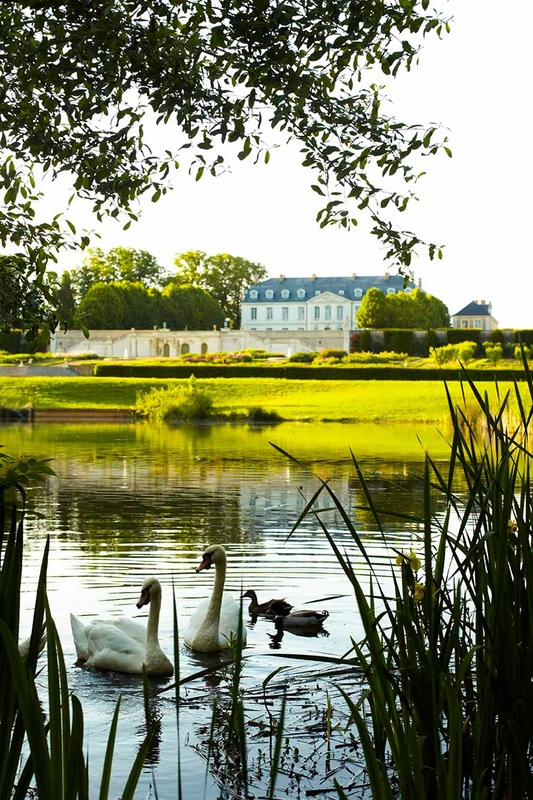 Historic, a jewel of the Loire Valley, a mere shadow of 18th-century magnificence. After more than five years of meticulous restoration, he got to work on his great vision for the interiors—and the gardens. 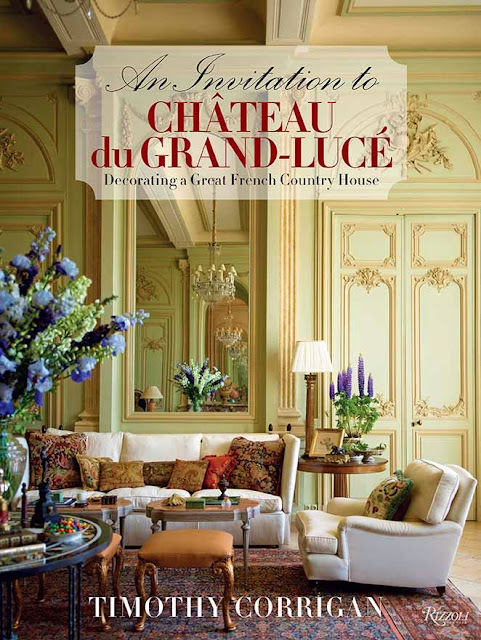 The brilliance of this book is that it is gorgeous—and Timothy invites the reader to come and stay at the chateau, to dine beneath the trees in summer, to picnic and collect mushrooms in his forest, and to gather around a large table for a winter feast. The reader is there. He takes us by the hand—to markets, to sip, to greet his friends, to be in his world. With the highly talented photographer Eric Piasecki, Timothy has documented each corner of the chateau, every sunbeam that falls through the tall windows and captured the changing seasons, the light of evening, the weekend walk through the gardens, a dinner in the Orangerie, and drinks in the library. I know Timothy—and was captivated and mesmerized by the intense detail of this encounter with beauty. Francophiles will swoon. I did. I’m still dizzy. It’s a magnificent achievement. 3. FRANÇOIS HALARD by François Halard, with a preface by Pierre Bergé (Rizzoli New York). 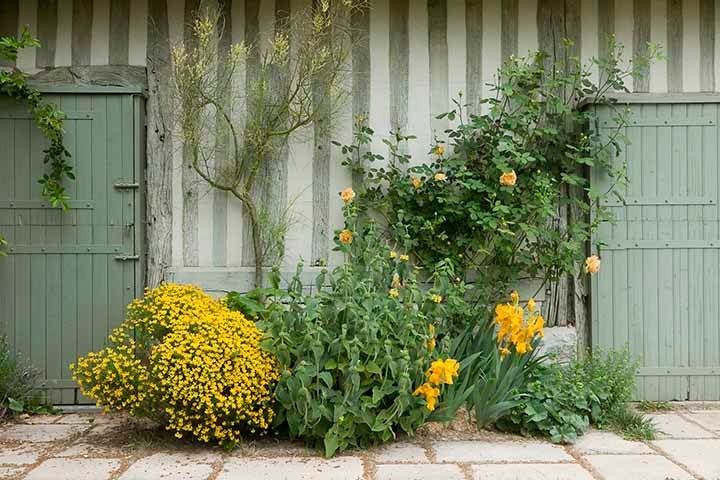 François Halard has been shooting people and interiors for four decades, sometimes working with editorial direction for a magazine like Vogue, but equally photographing and capturing his own private projects, hanging out with Yves and Pierre and Cy and the Duchess of Devonshire. He’s shot La Maison de Verre in Paris, and La Malcontenta, and the studio of Richard Avedon and Roger Vivier. The Halard book—the design fetish book of the season, truly—distills his pick of the best images, sometimes-just one or two, of these personal shoots. 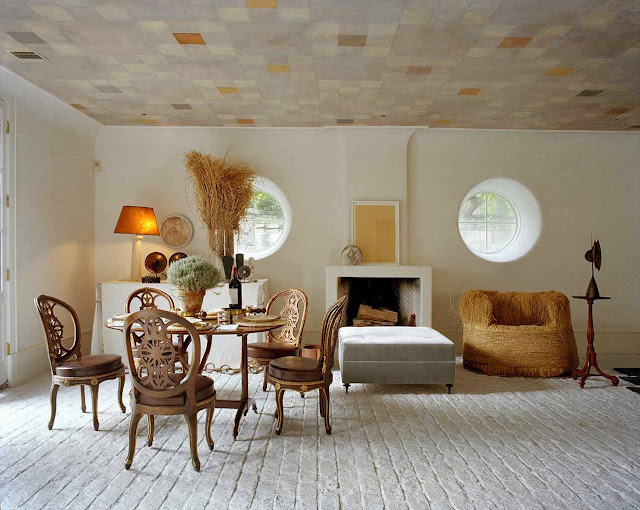 There’s the Cy Twombly Rome palazzo, Villa Noailles, Axel Vervoordt’s, and his own hideaway in Arles. Some of the houses he captured—Casa Malaparte, Villa Kerylos, and Albert Frey’s Palm Springs house—are ones that linger in the memory. 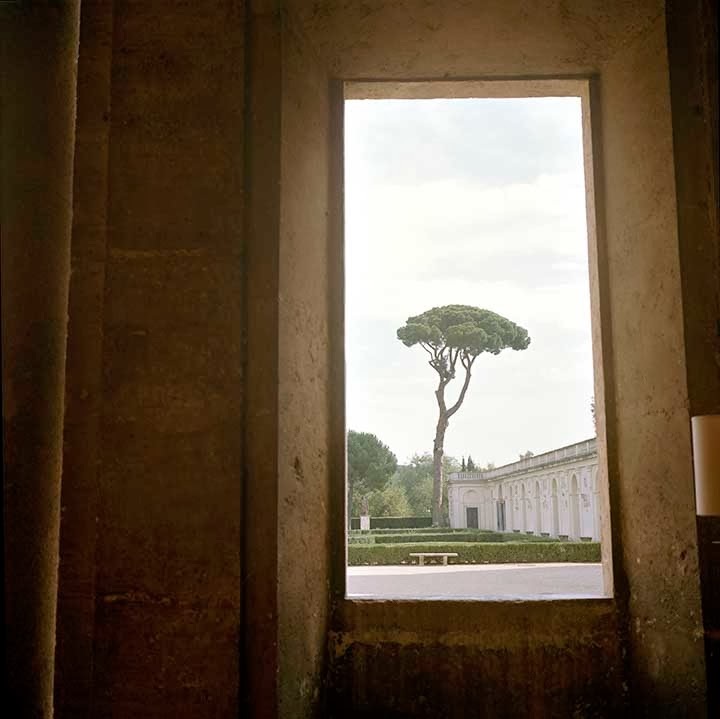 The images of his Arles house—fuzzy, blurred, off-kilter, abstract—look as if he shot them in a kind of fever state, swept up in a reverie if beauty, time passing, a passion for classicism. 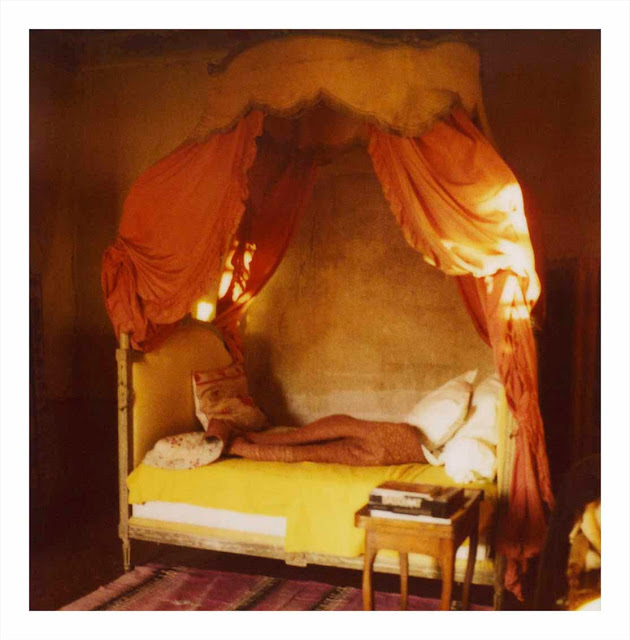 It’s all very unexpected, far from ‘canned’ and expected design, and he takes readers on an excursion, examining the ideas of creativity, poetry and mystery in rooms. And there is a surprise for John Dickinson fans. 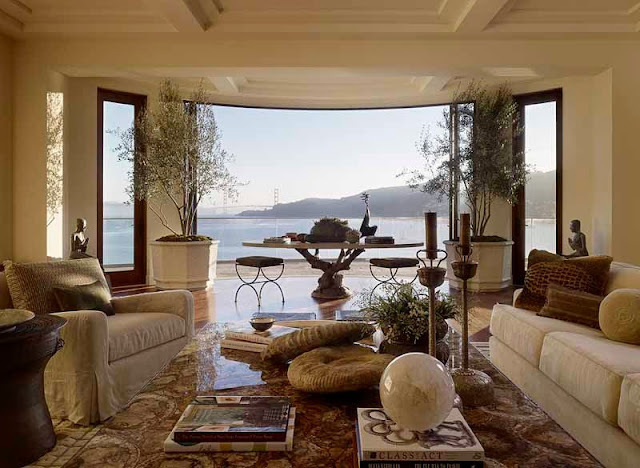 There’s a startling spread of black and white images taken in San Francisco in the seventies, of a selection of John Dickinson furniture—and details and close-ups of his famous black Jaguar showing the steel nameplate on the driver side. Clever Halard! 4. STEPHEN SILLS: DECORATION by Stephen Sills, with a (brief but meaningful) foreword by Karl Lagerfeld (Rizzoli). I’ve always been impressed by the intelligence, refinement and originality of Stephen Sills interiors. 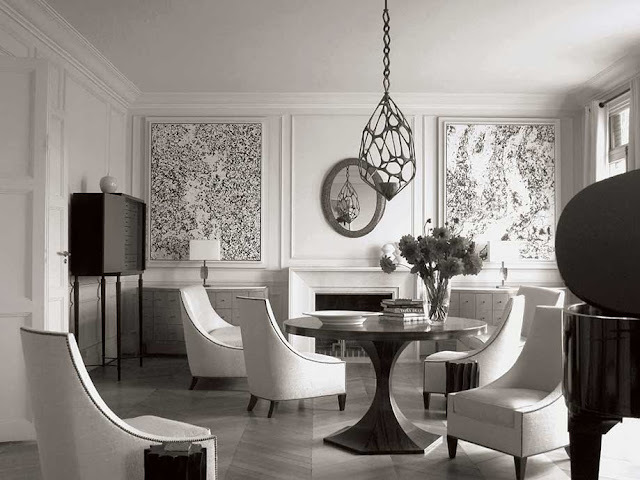 Each piece of furniture, every framed artwork, and all surfaces are considered, accepted, placed, and presented and composed with a precision and a sharp vision that are rare in the world of design. He understands antiques and paintings—and the effect and emotion they bring to rooms. He never overdoes it. 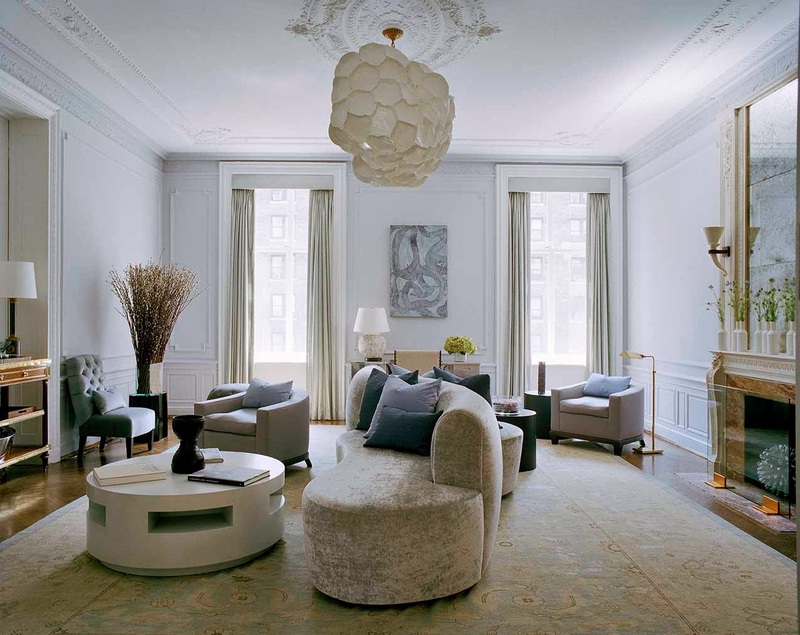 Among his clients: Vera Wang, Anna Wintour, Tina Turner, the Newhouse family, and notable art collectors around the world. There’s not a lot of text or information (I’d have liked to see more credits and detail of antiques, art, furniture and decorative objects). Sills' book—for the observant—is a course in how to design. 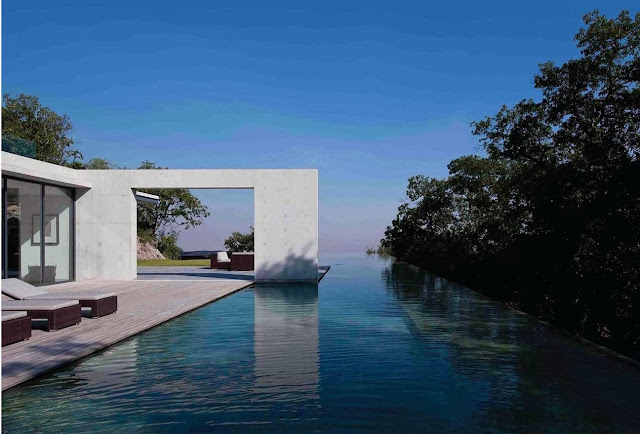 He begins with balanced and distinctive interior architecture, builds on subtle color palettes, and with the background in place, Sills choreographs furniture groups, tables, beds, and the necessities of daily life. How fortunate are his clients (and clearly they so adore him that the keep him close, and keep him working on one apartment and house after another). Cheers to Stephen Sills. He is the best of the best. I’m looking forward to meeting him at the San Francisco Fall Antiques Show this week. Highly inspiring. 5. 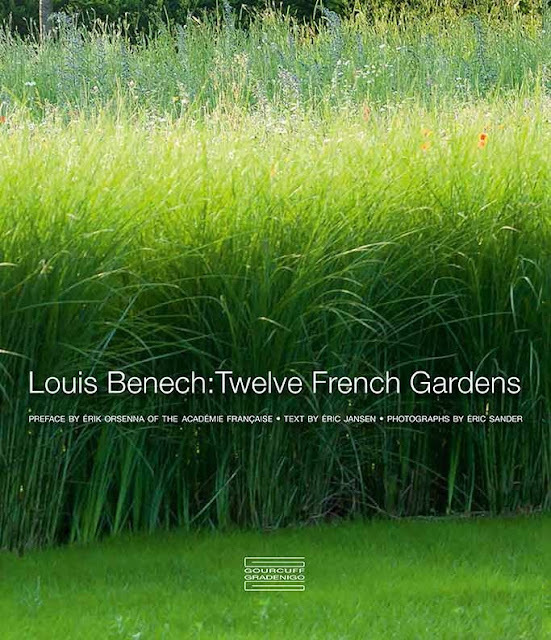 LOUIS BENECH: TWELVE FRENCH GARDENS Preface by Erik Orsenna, of the Academy Française, Text by Eric Jansen, Photographs by Eric Sander (Publisher is Gourcuff Gradenigo). 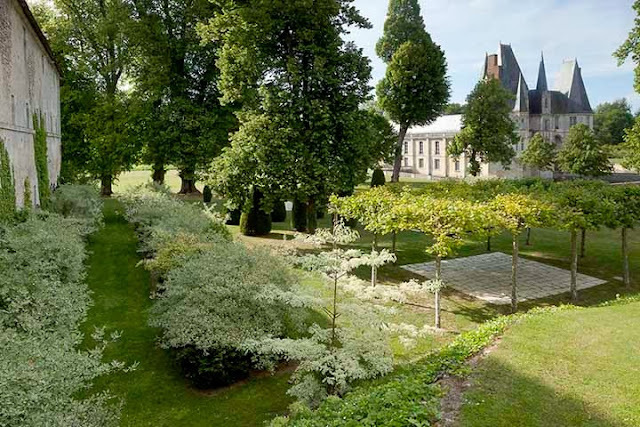 This book presents French gardens designed by Louis Benech, from the Jardin du Soleil et des Nuages at the Château de Villandry to Square Nicolas Forestier in inner- city Paris, via an estate in the Sologne, a Normandy manor house, a Breton flower garden, an exotic oasis in central Paris, a project in the footsteps of Russell Page in Burgundy, and the gardens of the Château de Pange, officially recognized by the French Ministry of Culture as a ‘jardin remarquable’. 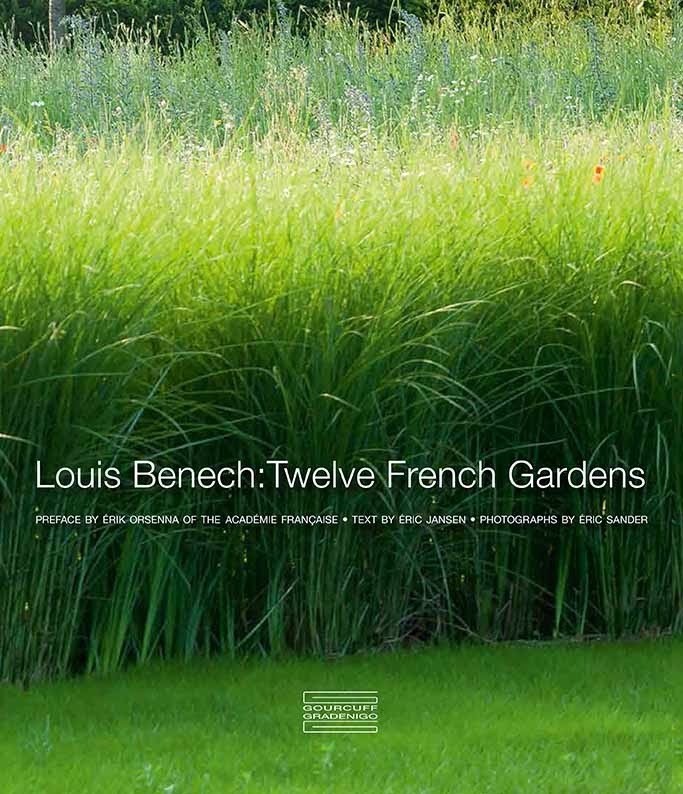 In their wide diversity, these elegant and elegiac gardens designed by Louis Benech reflect the many facets of a remarkable talent that has earned Louis Benech worldwide recognition. 6. 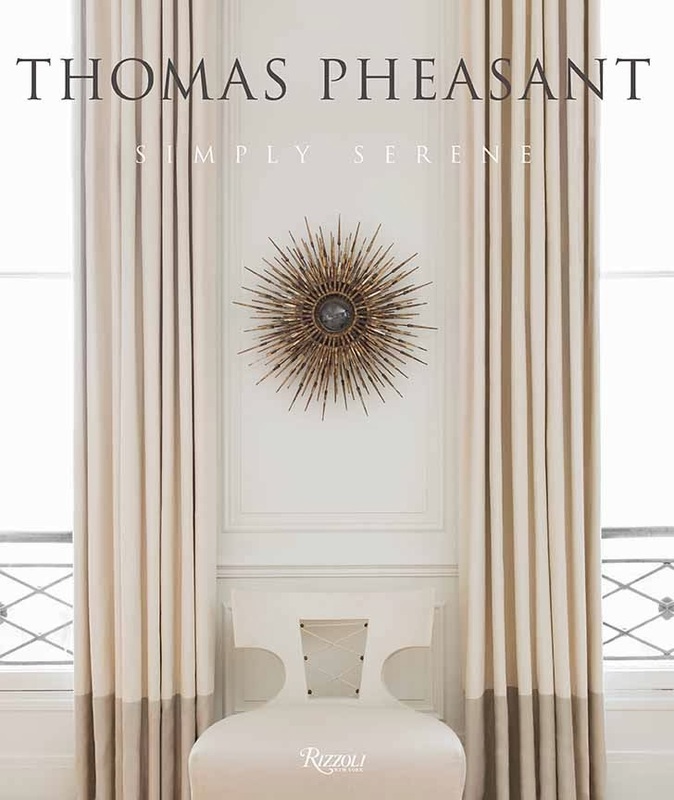 THOMAS PHEASANT—SIMPLY SERENE by Thomas Pheasant, Foreword by Victoria Sant, Contribution by Jeff Turrentine. Principal Interior Photography by Durston Saylor (Rizzoli International). Thomas Pheasant is a purist. He’s a classicist, and he is a perfectionist. His eye and heart and mind come together in this lovely volume, with rooms of grace, calm and quietude. 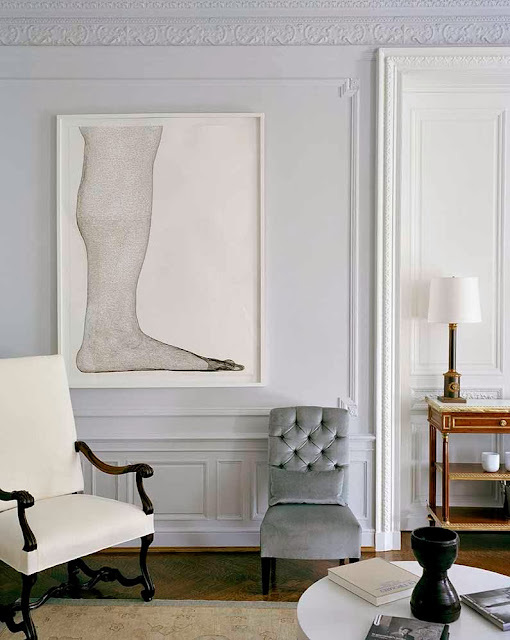 Pheasant, with offices in Washington DC and Paris, here offers his very compelling point of view that favors minimalism over crass color, and tamps down silhouettes and color to an elegant reductivist beauty. Black and white photography is a revelation on these pages. This is a book that lingers in the eye. Most impressive. 7. TADAO ANDO: HOUSES by Philip Jodidio (Rizzoli New York). In detail, Jodidio (author of countless books on international architecture) takes us around the world to view up-close Ando’s remarkable body of work. 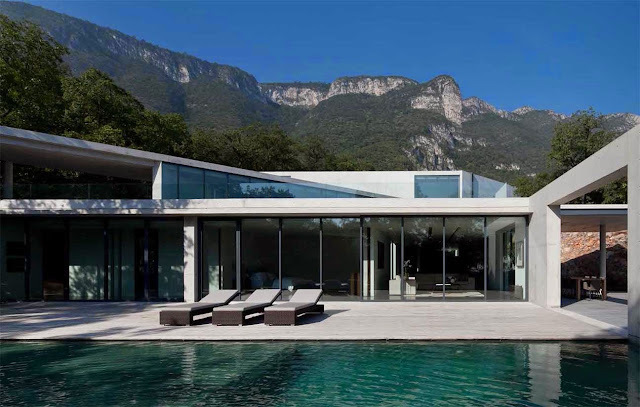 There’s the Invisible House in Treviso, Italy, a house in Chicago, a penthouse in Manhattan, a house in Malibu, a never-built Golden Gate Bridge House for a San Francisco site (I beg one of the new tech zillionaires to build it), and a house in Sri Lanka, and a remarkable house in Monterrey, Mexico, in a dramatic mountain-view site. Most of the houses are in Japan, and they include teahouses, a glass block house, an atelier in Osaka, a coastal house along the fragile Japanese foreshore, and concrete houses squeezed into small city lots. This Ando book is a must for all architects, and for designers who want to expand their knowledge, their mind and their higher aspirations. 8. THE INSPIRED HOME: INTERIORS OF DEEP BEAUTY By Karen Lehrman Bloch with a Foreword by Donna Karan (Harper Design). New York writer/ editor/author has a certain and constant focus—and with this new book she presents her ideas of authentic, uplifting, elegant, and enduring beauty. 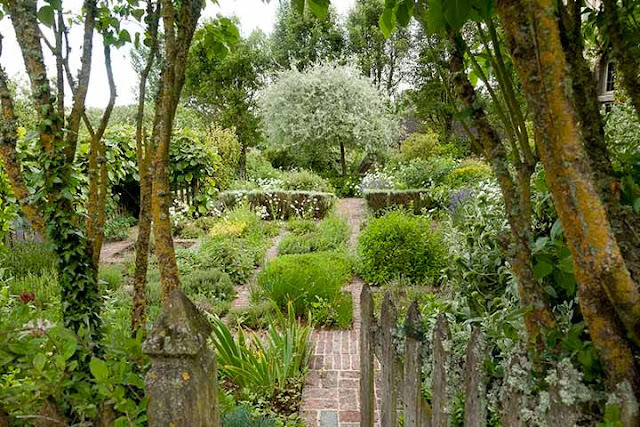 She uses the elements of nature as guideposts, and lists a series of pointers to inspire the reader. Interiors—all of them with a clear spiritual component-- include those of fashion designers such as Donna Karan, Alberta Ferretti, Luisa Beccaria, and Consuelo Castiglioni, the founder of Marni; top stylists and artists including Lori Goldstein and Michele Oka Doner; and renowned interior designers like Darryl Carter, Vicente Wolf, and Juan Montoya. Feel visually. We must say, “This piece touches me, moves me, inspires me.” We should re-learn how to feel visually,” says Bloch. Reject perfectionism. “Nature is not perfect: things don’t line up precisely; things are nubby, not smooth. 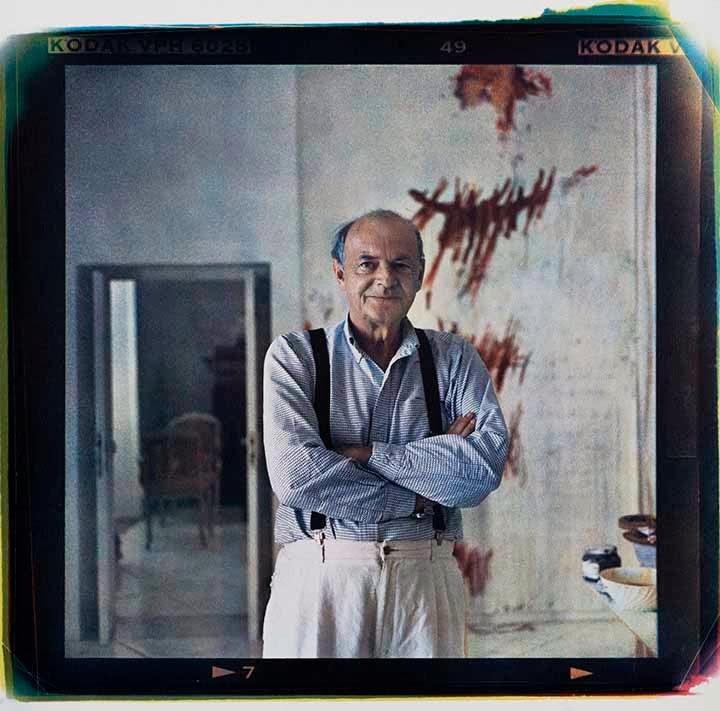 As a result, the imperfections of an object, fabric, or person are often what make them real to our brains,” said Bloch. Edit, edit, edit. 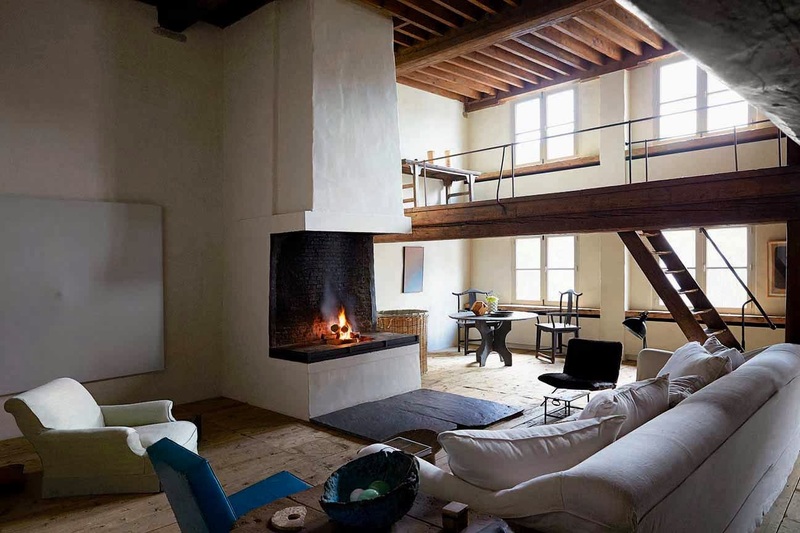 “Minimalism doesn’t have to feel austere, sterile, or soulless. It’s easy and affordable to create a sensual simplicity, one that calms us by embracing the simplicity of the natural world,” said Bloch. Create good flow. “The essential rhythms of nature are steady, yet unpredictable. 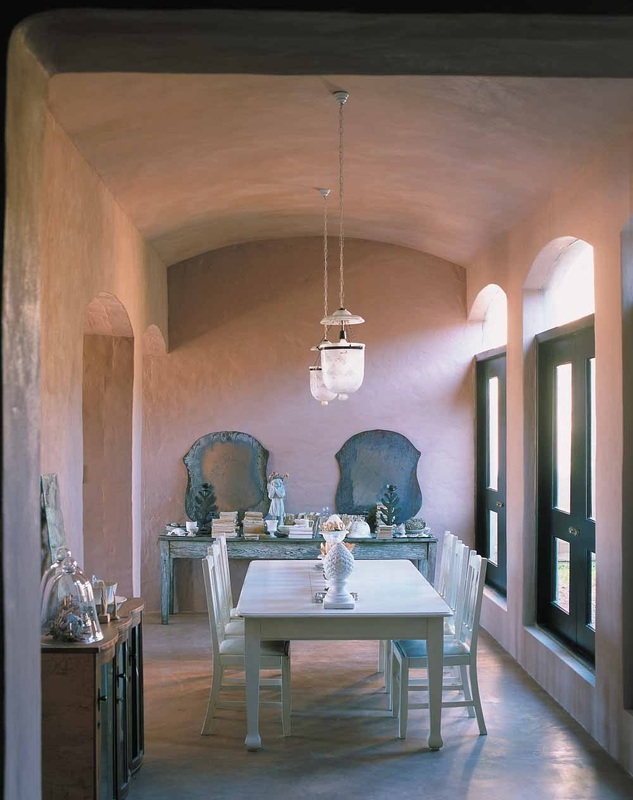 One of the most common mistakes in trying to create a tranquil space is to think that everything has to be similar or “neutral.” But nature is neither neutral nor bland,” said Bloch in this book. 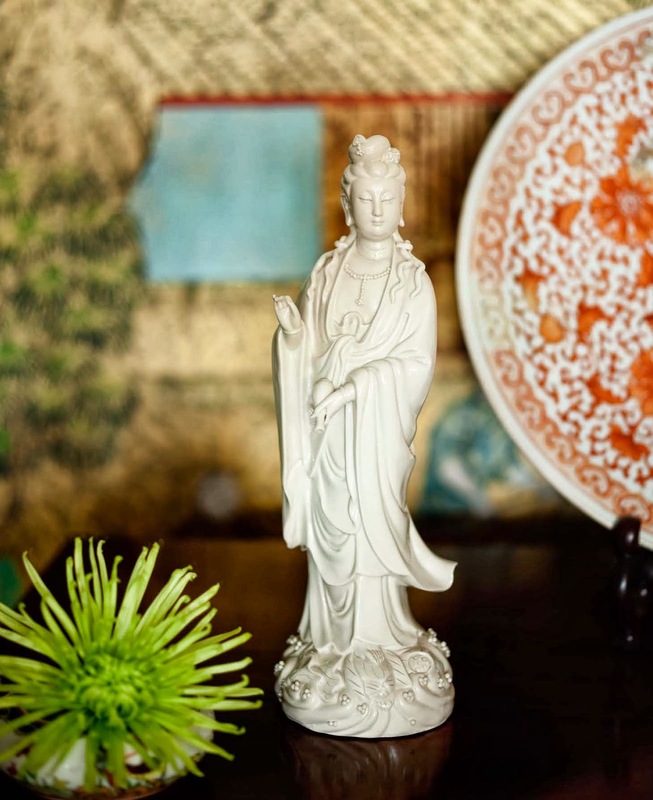 Cultivate true elegance. 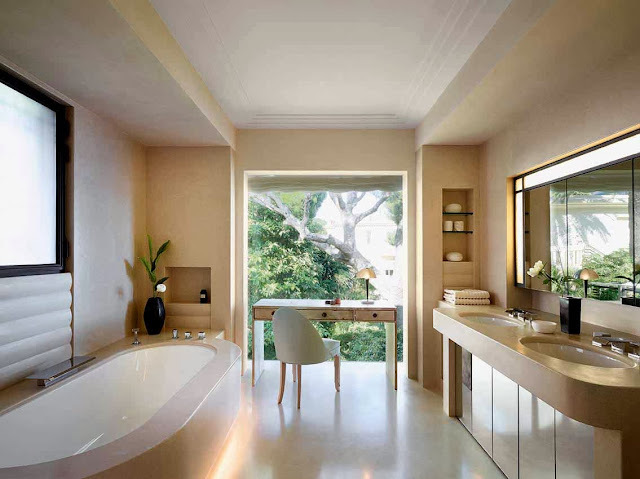 “ Elegance feels simultaneously fresh and grounded, innovative and grand. Because nature is profoundly elegant, elegance can have an immediate effect on our psyches. 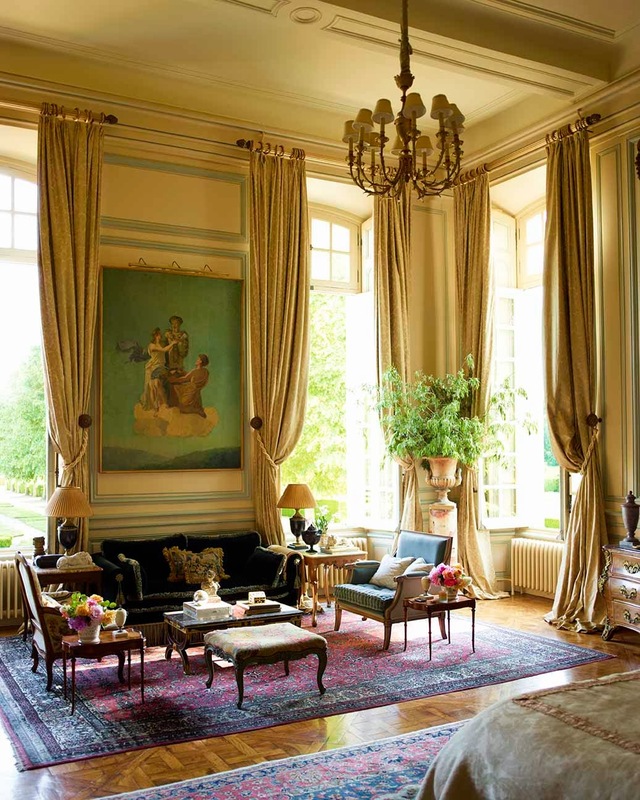 We can’t help ourselves: elegance breeds elegance,” Bloch said. 9. SUZANNE TUCKER INTERIORS: THE ROMANCE OF DESIGN Written with Judith Nasatir (Monacelli Press). 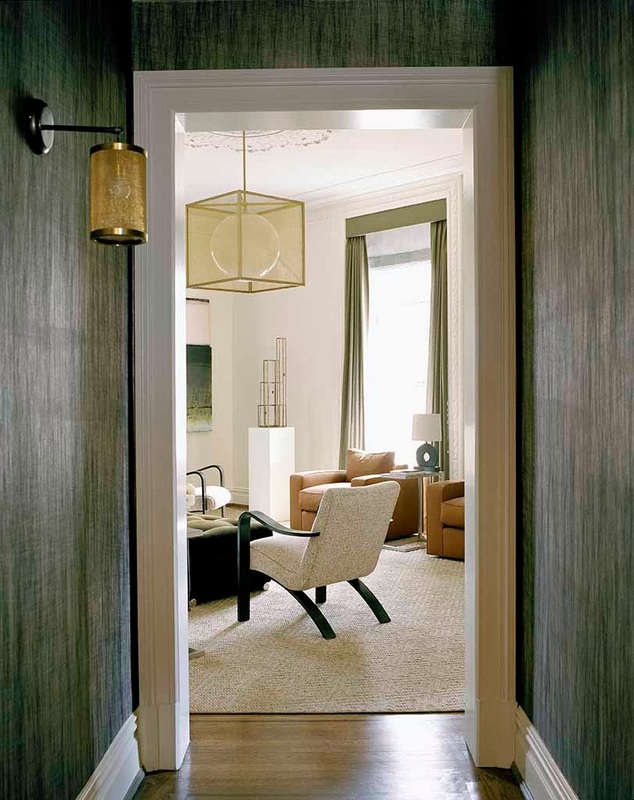 On these beautifully illustrated and detailed pages you will find the most beautiful dressing rooms in the world (one for a gentleman, one for a lady) in a superb apartment near Lafayette Park in San Francisco. 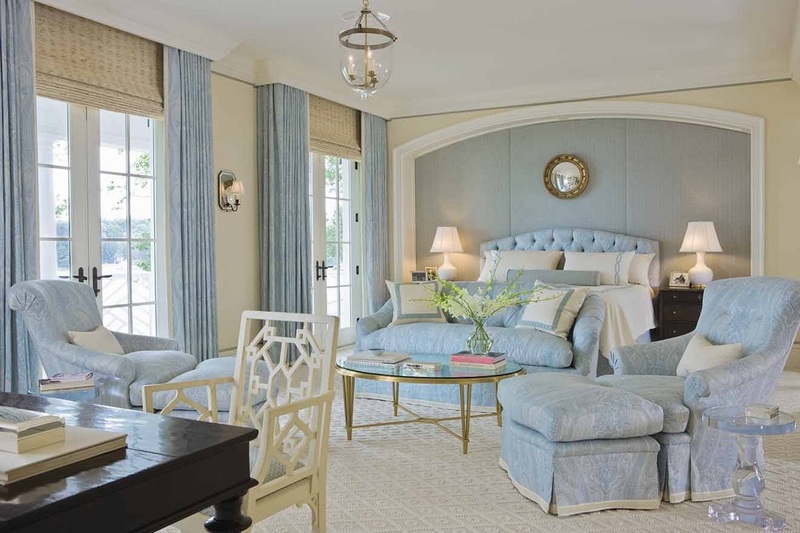 These ultra-private retreats are for a couple, notable philanthropists, and they are the essence of custom design that Suzanne Tucker is known for. 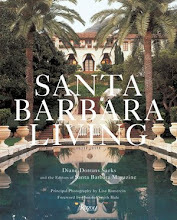 In her second book, Suzanne Tucker details a series of residences in California, including a Normandy-style house in Marin County, an Italianate villa in the Montecito Hills, and many residences in prime positions on the San Francisco hilltops. 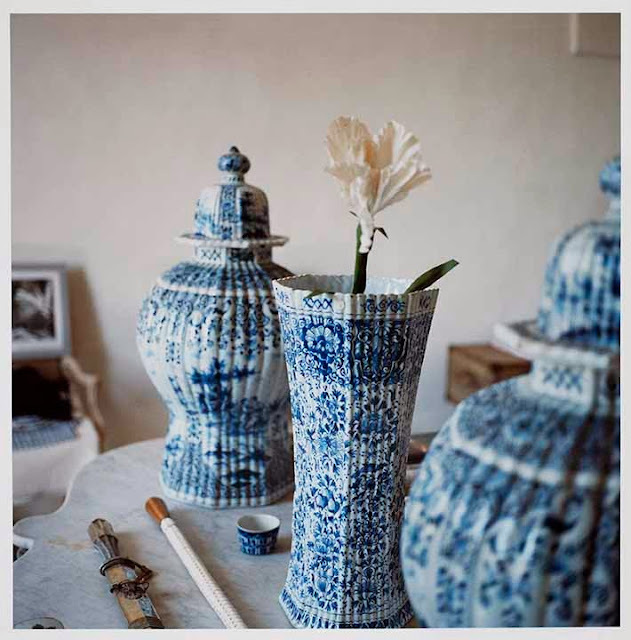 Anyone who loves textiles will want to pay close attention to her selections and her point of view. Admirable. 10. IN WITH THE OLD: CLASSIC DÉCOR FROM A TO Z By Jennifer Boles, with a Foreword by Alexa Hampton. 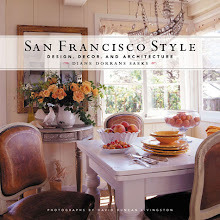 With photography by Erica George Dines and Illustrations by Laura Boles Faw. (Potter Style). Jennifer Boles, the founder of the wonderful blog, The Peak of Chic, is a longtime friend of mine. We’ve been ‘blog-mates’ for ages, and she often visits San Francisco to see her lovely and talented sister, Laura. 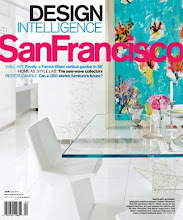 We are also fellow Contributing Editors to House Beautiful. 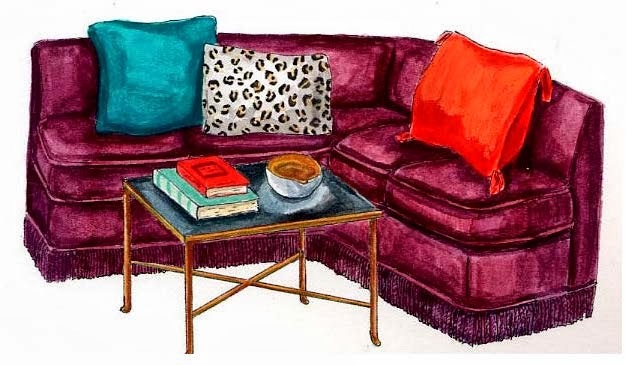 I step back to look at Jennifer’s book objectively—and I find it wonderfully original. 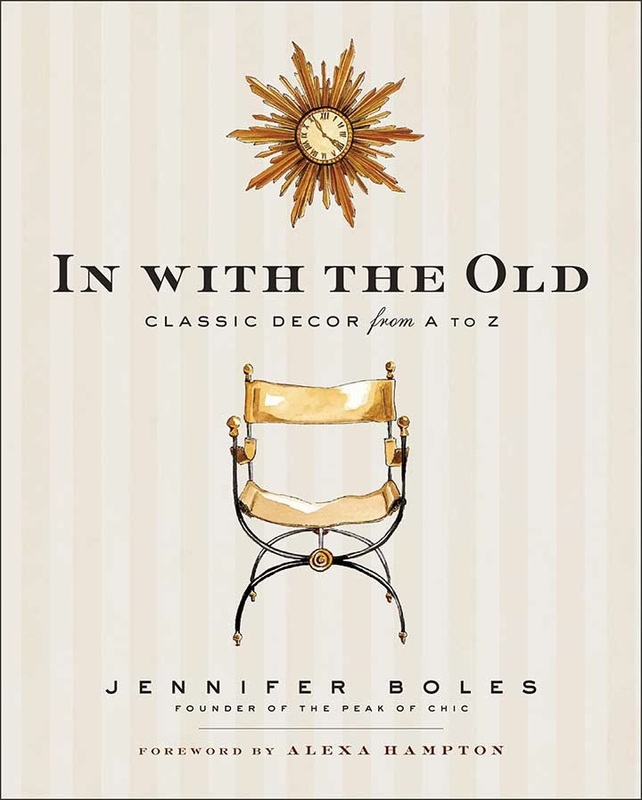 Jennifer takes the reader through 100 entries, including classic dog paintings, butler’s trays, ballroom chairs, bookplates (she’s addicted), and follies, painted floors and ceilings, and the Dorothy Draper look, sunburst motifs, rush matting, tablescapes, treillage and valances. 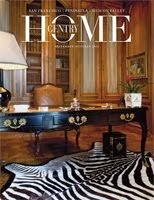 Along the way she offers helpful information, history, anecdotes on famous designers, and zebra prints. There are mottos to learn from, motifs to copy, and ideas on every page. 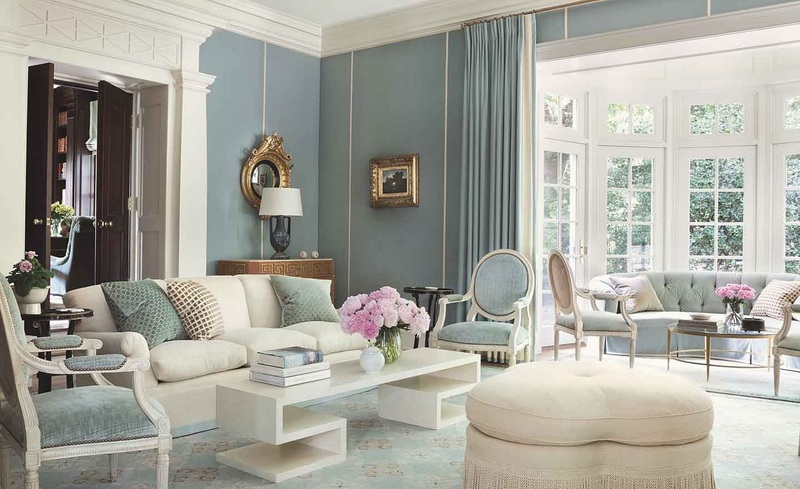 I admire also the way Jennifer has added an extremely insider-y and helpful list of resources, including rare book sources, home fragrance, lighting, fabrics, antiques and auction houses. An essential and highly diverting reference. 11. 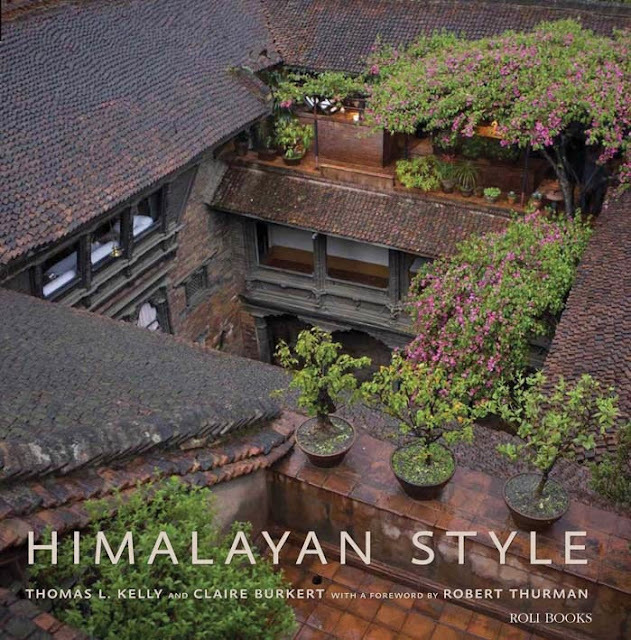 HIMALAYAN STYLE: Shelters and Sanctuaries By Thomas Kelly & Claire Burkett (Roli Books). Travel to remote regions is a great and essential inspiration for designers. 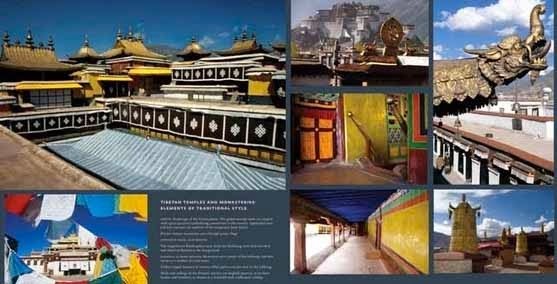 This book takes readers on a journey through the elements of Himalayan style, including examples of authentic and historic architecture, sacred spaces and interiors of Tibet, Bhutan, Nepal, and India. 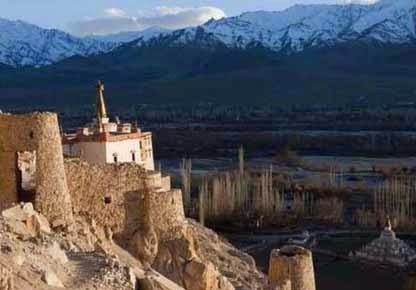 The foreword by acclaimed Buddhist scholar Robert Thurman calls attention to the spiritual foundation of Himalayan aesthetics. Photographer Thomas L. Kelly and author Claire Burkert present chapters on contemporary style, which also covers museums, gardens, private homes and fine crafts..
Claire Burkert has worked with artisans in southern Nepal, Vietnam, and Tibet to both preserve and promote indigenous crafts. She is a regional representative for Aid to Artisans, a US-based not-for-profit organization. 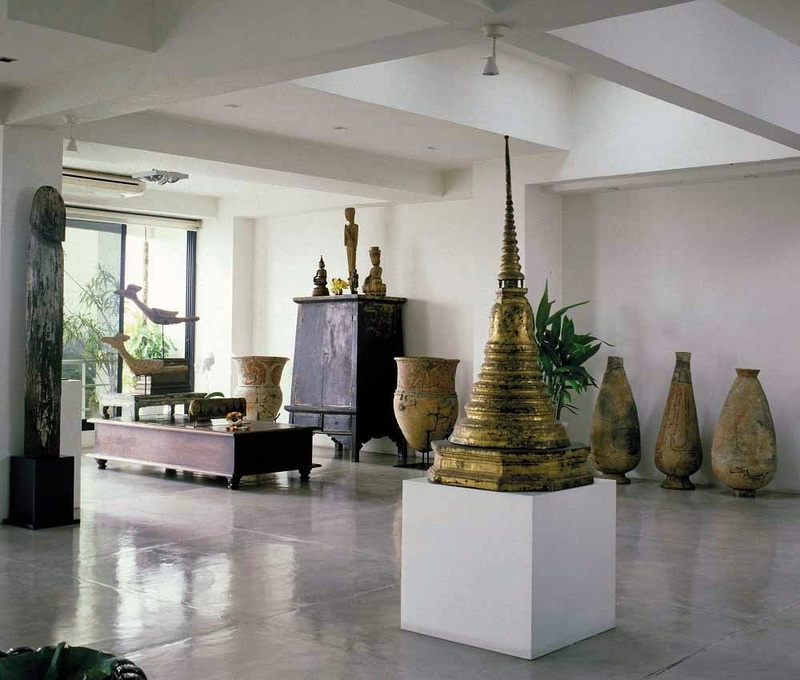 She is based in Kathmandu with her husband Thomas Schrom, a restorer of Himalayan buildings. I’ve traveled extensively in this region—and this thoughtful book makes me want to go back. Richly inspiring. I hope you will acquire these books from your local independent bookseller. I trust you will want to support and encourage your nearest bookstores—and continue to stop in, chat to the bookseller, and make recommendations, requests and comments to enhance the bookstore. All images used with specific and express permission of the publishers of each book. Dear Dianne, thank you for all of these fine recommendations. I am reading several and plan to add more to my list! What an honor to be featured on your blog. I admire everything that you do, so your kind words mean the world to me! Beautiful introduction to these newly published books. Mu library is full, bookshelves packed, books stacked on the floor...where am i going to put these books as of course, i must get them from my local bookstore indeed! I have 10 more books selected for next week. I hope you are working on a new book at this very moment. 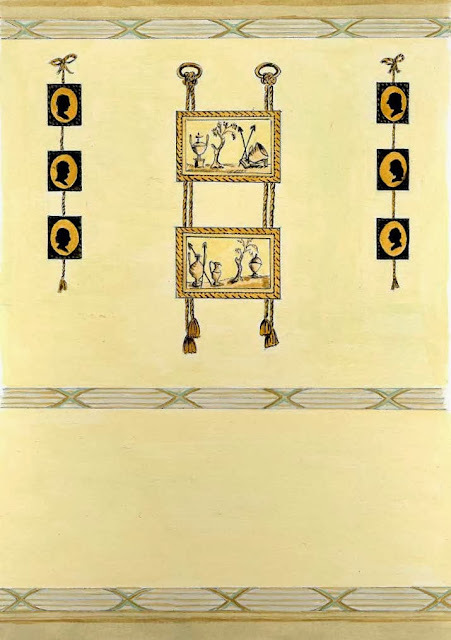 You offer information that is impossible to find elsewhere...passementerie, butler's trays, chinoiserie...there is so much to learn and you make the trip so enjoyable. Lovely to hear from such an avid book collector. I must say...don't let a few stacks of books on the floor deter you from getting more...I don't. Keep collecting, and keep buying from your hard-working and devoted bookseller. I'm fortunate to have Browser Books on Fillmore Street near where I live. I drop in there often to chat...and to find a book I did not even know about...or to poke around the travel section. 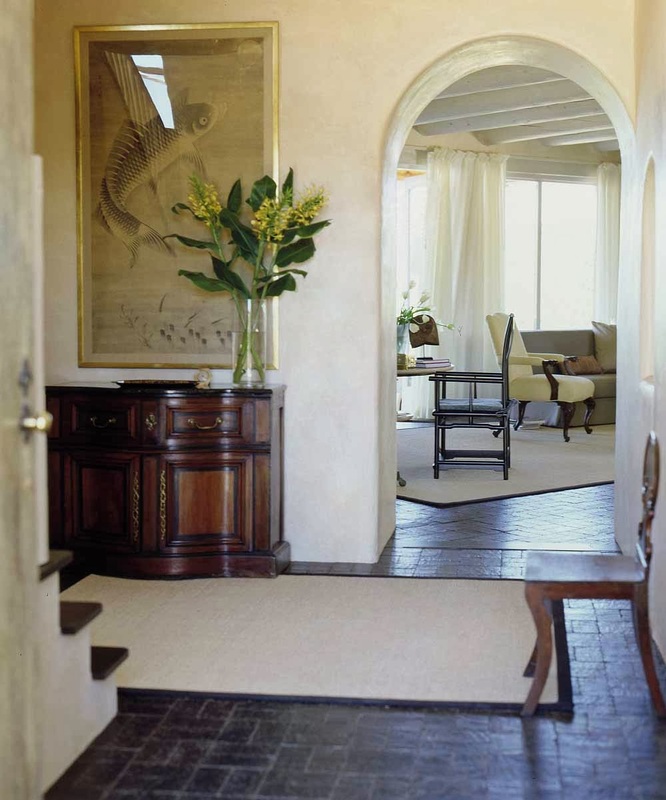 I too met once upon a time a certain someone who was 'restoring' a Montecito home...he demolished the original kitchen and baths of an untouched shrine to architecture still fully furnished for decades unlived in to a former financial advisor to J.P. Morgan. I offered the COUPLE to purchase the home in the demo state...they said no, they loved it forever! Years later, the same couple sold to acquaintances, and were in the middle of 'restoring' The Chandler residence in Hancock Park, another time capsule fully furnished and a jewel. Demolished kitchen, silver vault ad China room, demolished baths etc and hedges went up with a gate! 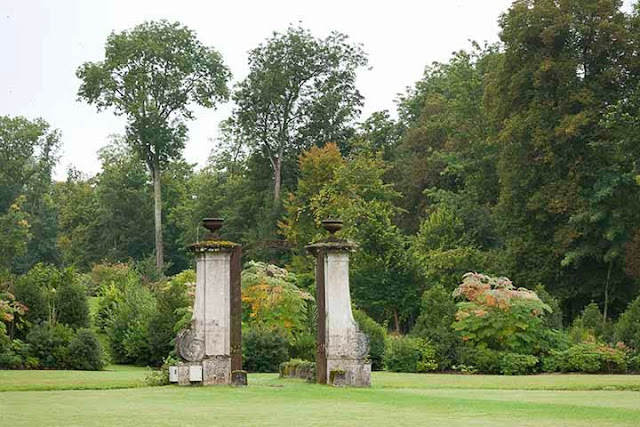 I was led thru during demo but the person had gone to Home Depot for paints, but the other half of the couple asked about the columns being 'dirty' which I said no they are not, they have patina. 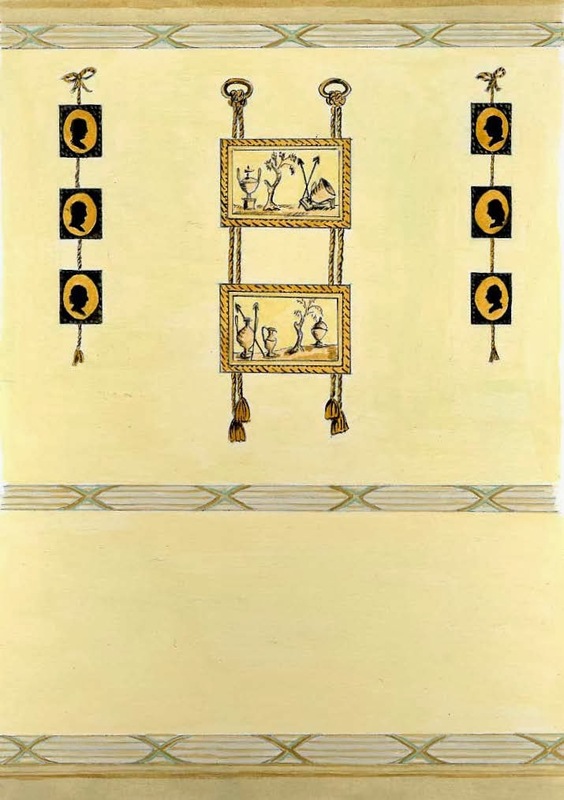 The Great Antiquarian Adolph Loewi had procured these very same columns, and Leonard Stanley had incorporated them into the house for Mrs. Chandler. Years went by, they showed up at a home I restored and were friendly, but the advertising charm was quite apparent. I sold a Wallace Neff I lived in and restored to Madonna, and shock of shocks, I read that he restored and decorated a Neff for her...the very same Neff Diane Keaton beat me too...which by the way was exquisite eye restored by her. Later I was told he hung a painting only as he came to her thru her realtor. 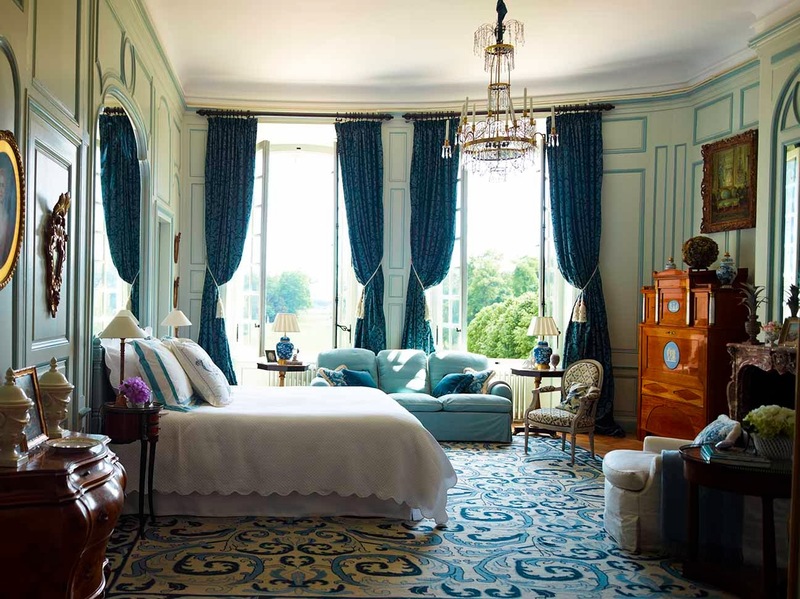 Now a Chateau, DECLARED one of 100 top decorators according to ARCHITECTURAL DIGEST...and I recently read in ELLE DECOR his favorite color is Vert de Terre by Farrow and Ball, not Home Depot! Wales loved the same color..which I painted our bedroom at the beach over 8 years ago in. I look forward to all of your superb posts, and your annual book recommendations are highly anticipated. My library has been enriched by your past book recommendations. 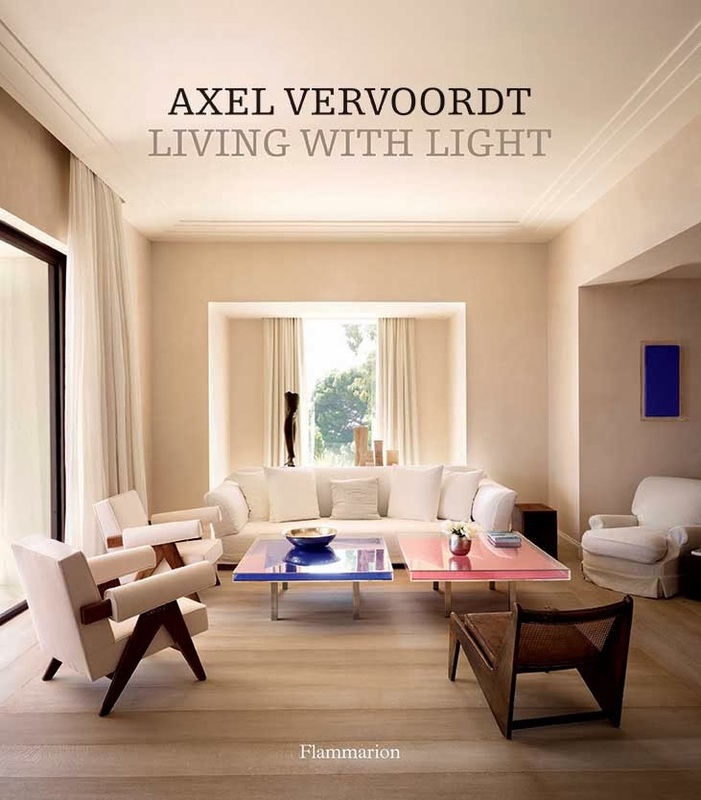 I was fortunate to be recipient of Axel Vervoordt Living with Light, and i have spent days absorbing this book. 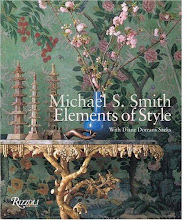 The text by Michael Gardner is excellent, and the descriptions at the highest standard as you would expect from a top period antiques dealer. 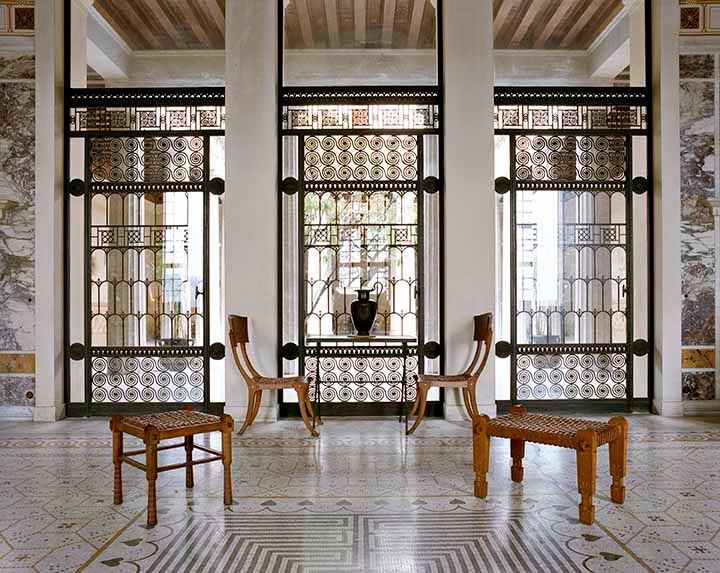 Besides the singular aesthetic of these interiors, I think these designs lead the way in incorporating period antiques and antiquities in a very modern way with highly edited and rare 20th designs. 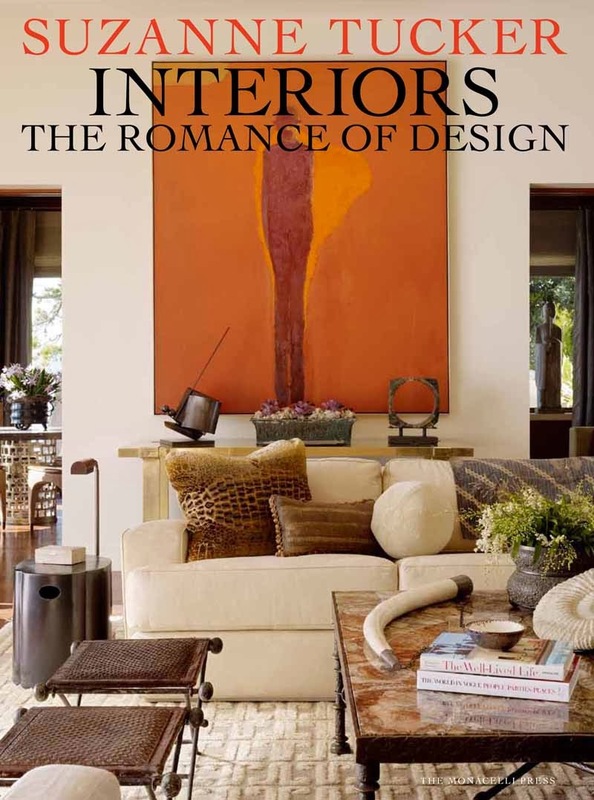 Perhaps what makes this book (and these rooms) so relevant today with the highly charged global fine art market is the incorporation of outstanding examples of contemporary art -highly curated works by Kazuo Shiraga, Lucio Fontana, Piero Manzoni, Yves Klein and more. For designers and collectors seeking guidance in what artists to collect and how to incorporate these works in designs, this book is invaluable. 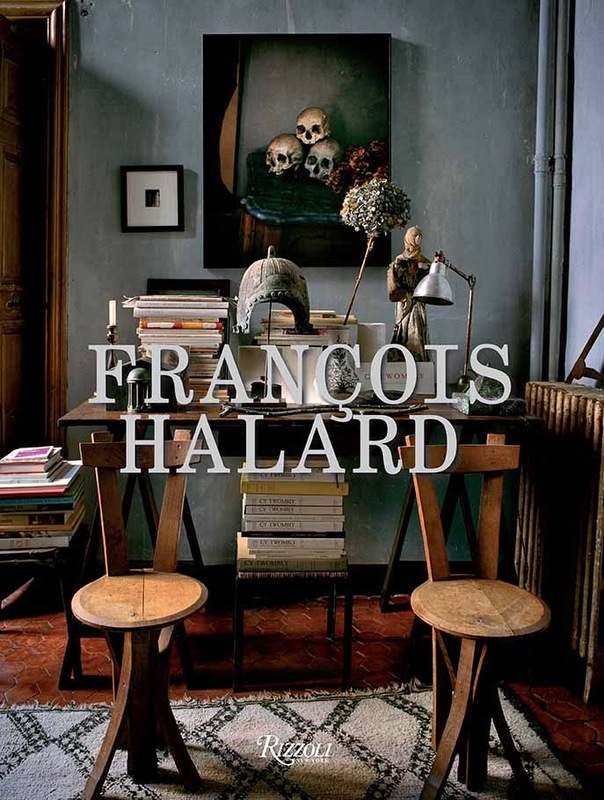 Thanks to your post, the book I am ordering right now is Francois Halard. He is a favorite photographer, and as you describe, his work goes far beyond that of depicting interiors to enter the realm of fine art contemporary photography. 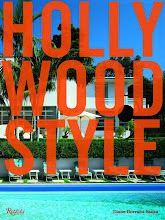 Once out of print, I predict that this book will reach the stratosphere in price as it is highly desired by both design enthusiasts and collectors of contemporary photography. I am thrilled for Jennifer and Suzanne with their new books, and I look forward to all the books on your list. 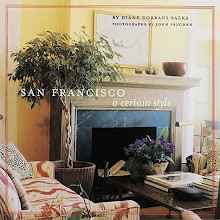 Thank you, Diane -your recommendations are a must for any design library. I am looking forward to part II. !!! Oh Diane! Now I need to add more books to my library, specially Vervoordt, Boles, Sills, Halard. Are you also working on a new book? If so I can't wait to see it. Thanks for these suggestions and waiting for more. You have the most exquisite taste in everything! This is surely proof that books are not going "out"! And no one will be reading these on a "kindle "!! Exquisite books; all of them! Yours are my favorite of all!!! I love your enthusiasm and comments...adore your insight and your plans to rush out and buy everything. In particular...there is no death of the book. I am writing a book...completing it...as we speak, so I can be sure one more book is in the works. Don't be concerned. In particular...in selecting these fall design books, I looked at every aspect...and in some ways it was not a judgement of the decor. Yes...I want to see wonderfully intelligent design, original work, a thinking designer who does not do the same thing over and over. 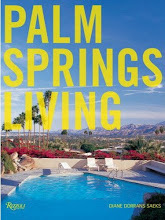 Axel Vervoodt's is a book you can keep forever...Halard, too...for all kinds of reasons, as Philip said. I am working on a new book now--and you'll see it in fall 2014. It's top secret. Be sure to stay in touch as I love to hear from you. Great selections Diane! 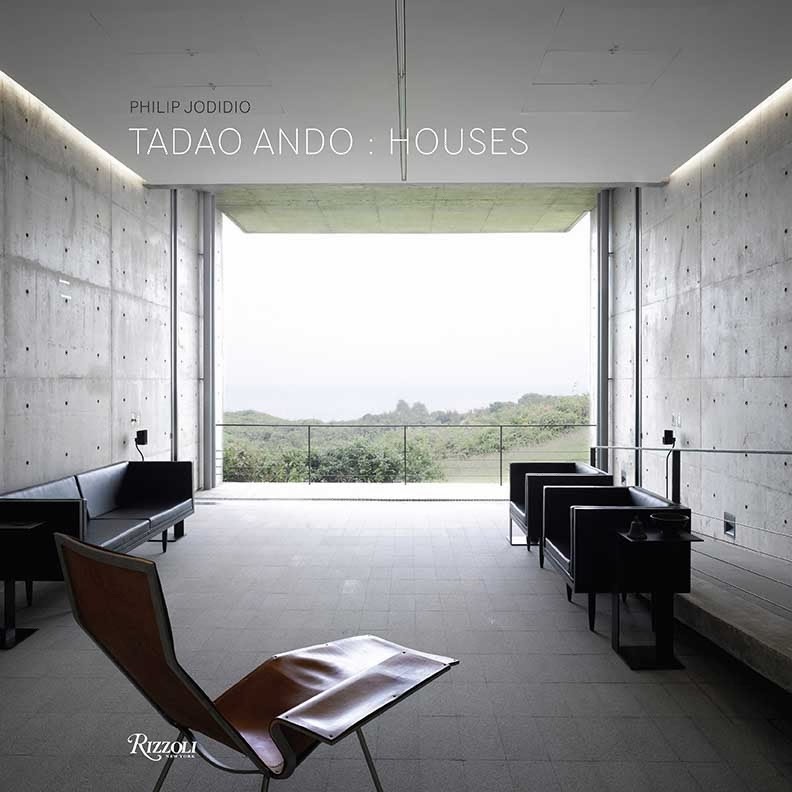 I am especially intrigued to see Tadao Ando: Houses. I am no minimalist by any means, but his work is so captivating in its purity.